You must make bookings at least 5 minutes in advance of the time at The Atlas Pub. As soon as you walk into The Atlas you'll feel an immediate warm welcome – fresh flowers, wood paneling and floorboards, black and white tiling, and brick fireplaces. 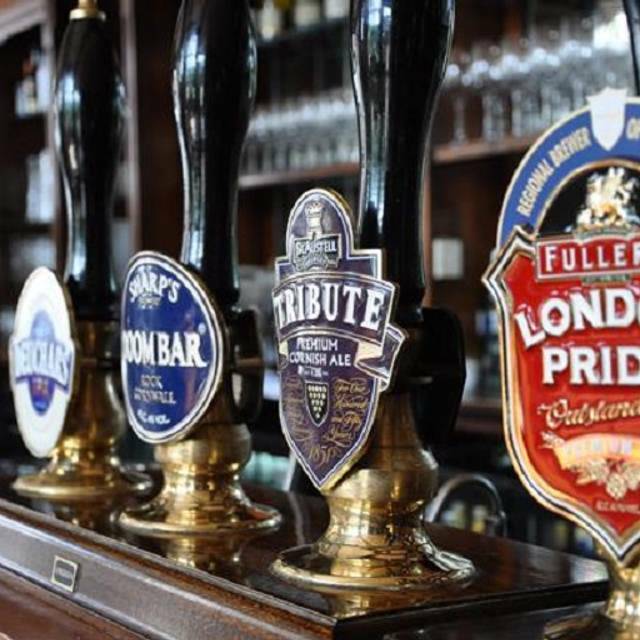 Up at the bar, you'll find 4 hand pumps offering local and regional ales, as well as a carefully-selected list of 40 international wines, with 15 available by the glass. Food-wise, expect daily specials of British and Mediterranean dishes, from a menu that changes monthly. 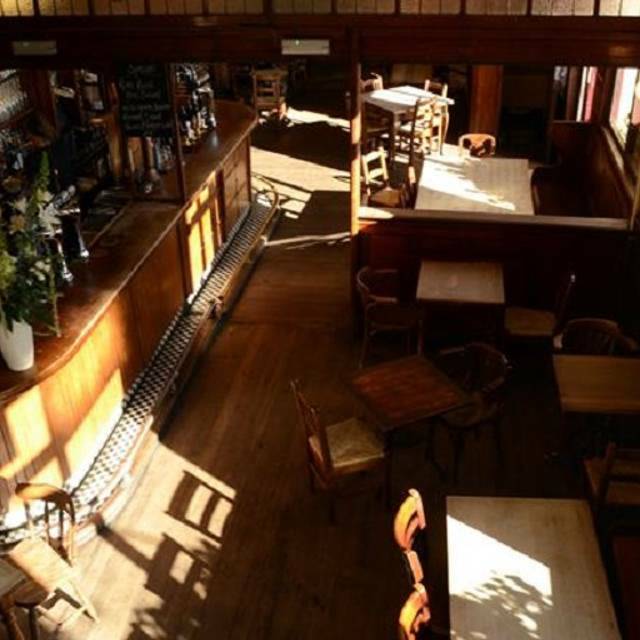 All in all, The Atlas is an ideal pub for a get-together with friends in a relaxed and comfortable environment. The Atlas takes bookings for lunch & dinner, for groups of more than 4 and up to 12 people. Children are welcome before 7pm only. I normally only write negative reviews for restaurants that I'm unhappy with, but am happy to make an exception here since we had such a good time at the Atlas. The food was really good, every single thing, ditto the beer and wine. We had a smallish wait between courses and they apologised effusively and offered a generous extra something for us. This now amongst my top go to pub/restaurants in London. Thank you Atlas for a lovely evening. Excellent table service. Food was tasty and cooked well. Professional appearance. Pub had a lovely cosy atmosphere. The only criticism would be there should be the option of custard with the desserts and not just ice cream. The food was excellent as always and we were well looked after by our waitresses. They even worked out individual bills for us which saved us a lot of time. My only criticism is that I booked for 12 people and there was only space for 10 when I arrived. However, this was soon rectified. I often go to the Atlas for lunch or after work. It’s a great pub, good atmosphere, very nice food and excellent service from the always friendly staff. I really liked the food specially the terrine and the squid. 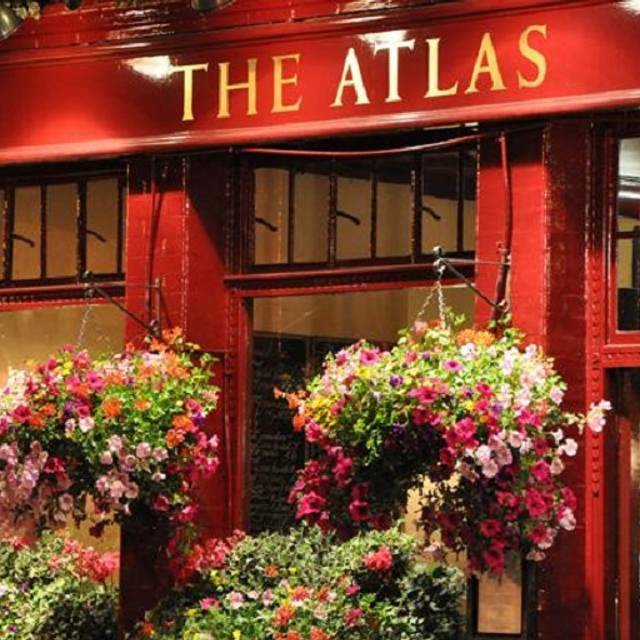 My wife and i went to the Atlas for the Christmas menu ,we have been there before and have always enjoyed the pub with good food and drink,we had a three couse christmas menu which was very good with great service. 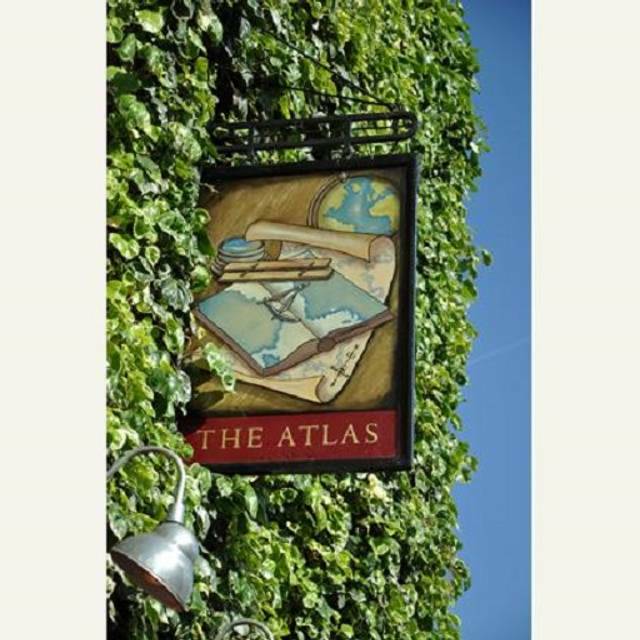 Historically the Atlas has been a solid favorite for a pint and Sunday lunch before watching Chelsea . Last visit was slightly disappointing , food quality dropping a little , prices rising a little . Still a warm , welcoming and fun venue for lunch but hoping for better next time or may look elsewhere. We had a great meal here Friday evening! Great service, didn't have to ask for water for the table or condiments it was already bought to the table. Everything was served quickly and the food was wonderful. Lovely atmosphere with the fires lit. Made a reservation a wrrk on advance and was allocated the worst table in the pub. Right by the door. Then was told they cannot serve us because we have a 9mths old with us. In my experience it is quite a feat for a Sunday lunch in a pub or restaurant to be this good across all elements at this price. We had the beef and the pork; the meat quality and cooking of both were exceptional. The roast potatoes perfectly crisp and fluffy and without that pre-heated taste you sometimes get. Yorkshires were triumph of height & texture and delicious veg to accompany. 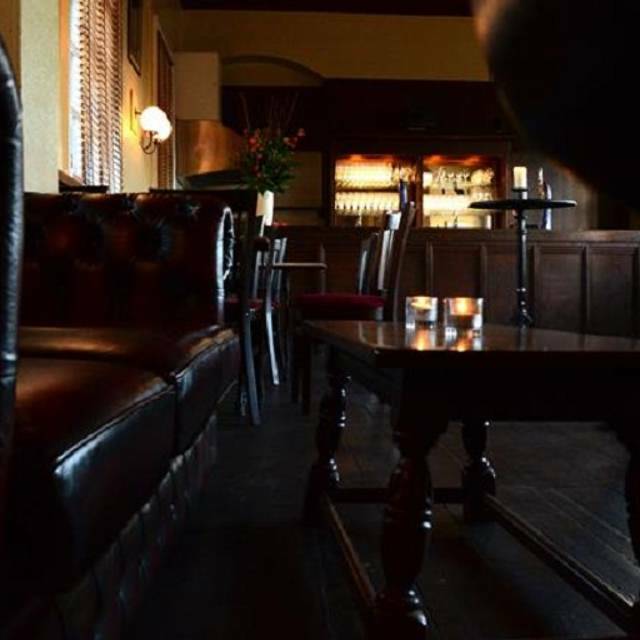 Perfect ambience, proper pub feel, friendly, relaxed and was full groups of all ages. Excellent food. A real gem! The service was also excellent. I ate at Cliveden the same weekend but the Atlas had better service. The server even offered to do separate bills for everyone in our group of 5. Table service was amazing as the food. I had the steak and it was brillant ! Really good wine selection too ! I recommend this pub for everybody !! Delicious food...friendly staff....was definitely a great place to spend the last night of our London vacation! Excellent lunch as always with delightful service. My food was a little cold when served but everyone on our table of 12 was happy with the quality and the Atlas pub itself. The food here is amazing, but being tucked away, we felt the atmosphere was a bit lacking considering it was a late Saturday afternoon. Fantastic service and great food. Pub was quiet (which was appreciated and unusual) but it was a Monday. Recommend booking to make sure you get a table. As always, the food was great and the service perfect. 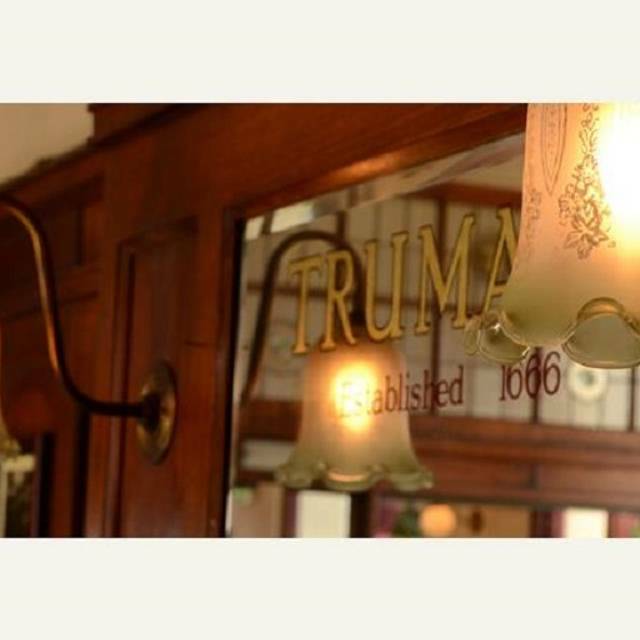 I love the charm of this old pub while enjoying great quality food. Terrific Sunday roast (chicken and beef). Great pasta and desserts. Great service. The food and staff were very good . Staff were very welcoming and friendly. Good food and value considering it is such a central location. Staff were attentive and pleasant. Became very busy after the Chelsea game but when I called the pub beforehand they did warn me so we arrived 30 minutes earlier than originally planned. V Good would go again and recommend. 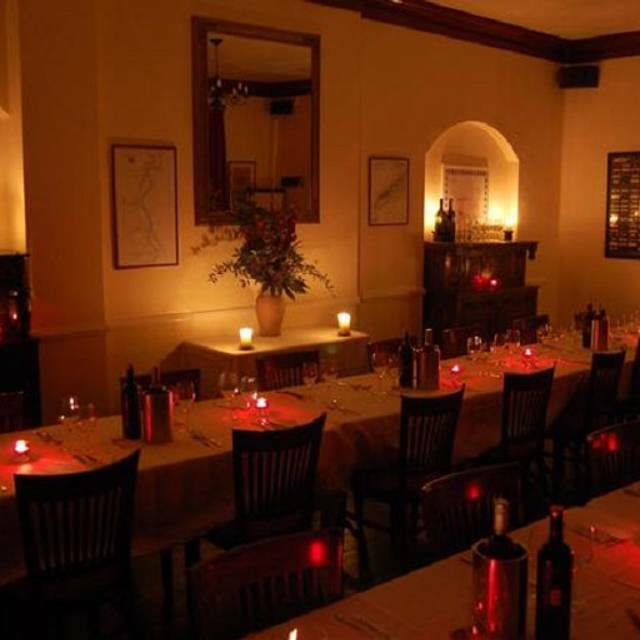 Great atmosphere, very friendly staff, lovely tasty food and good wine. 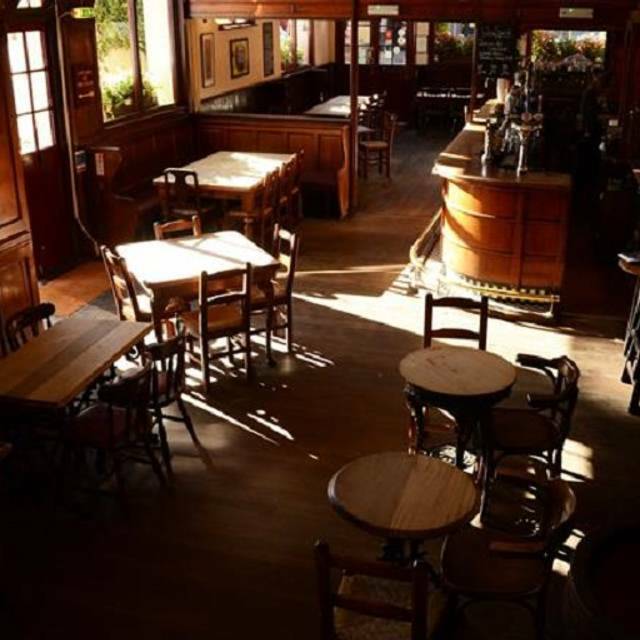 Good unpretentious pub food in a relaxed environment now with a big new outdoor terrace. Staff were amazing. Serves a good pint of Landlord. Food was good but too expensive in my opinion. Go for a quick beer and a quick sandwich. Great local pub but not beyond that. Fantastic food, wish we lived nearer! Great food and friendly quick service, but the noise level made it difficult to converse. Would be a great place if there were a separate dining area away from the bar. Great food as always but I didn't feel the service was as warm and welcoming as it usually is. A group of about 8-9 of us come every few months and the great service plus fab food is what keeps us coming. Our dinner was great until the waitress knocked our wine bottle over and splashed red wine over everyone. However it was an accident, was quickly cleared up and desserts were not charged. We were less upset than the waitress. Food was tasty and good value. The starter sharing plate was excellent. A real gem of a place. 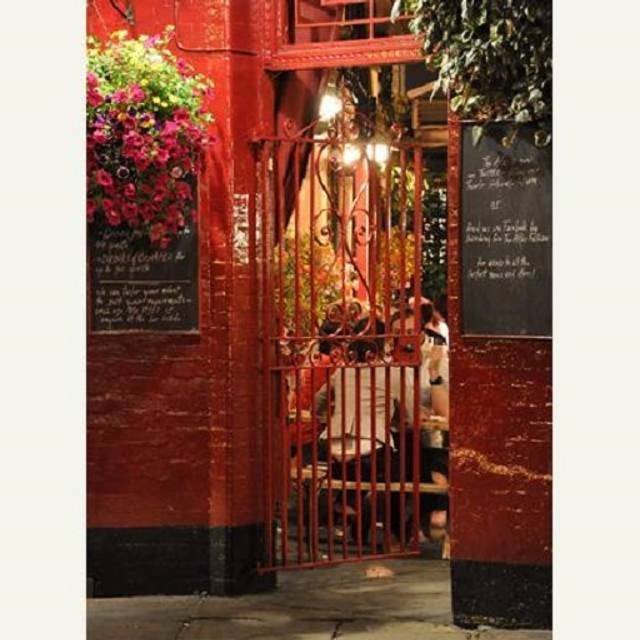 Great service, friendly staff and delicious food in the authentic surroundings of this cosy pub. I really like the relaxed feel of this place. Staff were very helpful without being overbearing. This was our second visit because we liked it so much and it didn't disappoint second time around. Food was great too! Good service, friendly staff, well prepared food. Portions were reasonable. BUT it is not great value - a main course, shared pudding and a drink each, for 2 people came to £60. A good option for pre-theatre meal if going to the Finborough Theatre. Not sure I would go there again, though the experience itself was enjoyable. We went to the Atlas before a football match so it was pretty busy - our food was good, the 3 ales superb. Will definitely go there again.